There has never been more restaurants in the US than there are today, but there have been equally less and less customers entering the doors to this seemingly ever growing sector. The average American is now spending about half of their allotted food money on restaurants per paycheck instead of the grocery store, yet independently owned restaurants are 4 or 5 times more likely to fail as startup. These numbers tell us that there are interesting things happening in the restaurant industry, and though we call them “trends” it looks like a lot of these methods and products will be here to stay. Americans are increasingly becoming more and more mindful of what their being served and what’s going on in the back kitchen. As a service provider to restaurants on the East coast, MOPAC believes in giving each of our customers all the tools we have to help them succeed, including the restaurant trends of the new year. Typically Americans allot a certain amount of money per paycheck on food, making sure to spend a majority of it on groceries for food to make at home. For the first time in our history, Americans are spending more money eating out than they are at the grocery stores. This should mean that restaurants should be getting more and more business and tables at your favorite restaurant would be sold out. But that isn’t the case, in today’s world, food getting ordered online is the biggest and fastest growing predicted trend in the restaurant industry. With established apps like Grubhub, who adds two million members a year, it is clear that ordering online is growing. Along with the growing delivery apps like UberEATS, Postmates, Caviar, and DoorDash it is no wonder that people are ordering food from the comfort of their own house. Pizza delivery currently hold two thirds of the market, but it increasingly being left behind by pretty much everything else. With what is currently being offered, people would prefer to order out from the comfort of the office during their lunch break instead of having to venture out. This has meant there has recently been a switch from restaurant appearance to a focus on the quality of the food and the speed it’s delivered. If you’re restaurant wants to get ready for this emerging trend, make sure to engage with all the social media and app platforms available to your venue. According to Forbes, ordering a deal delivery online only accounts for 2% of the restaurant market today, but this sector is projected to grow 15 times faster than any other restaurant business. To accompany the rise in the delivery ordering, there has been a steady decrease in the amount of sales happening for lunch and dinner, while proportionally late snacks and breakfast has risen. There are a few possibilities as to why this is happening. While the sales in the fast food market has continued to rise, and high-end dining and casual dining rising as well, leaving middling and individual restaurants struggling more to rise to the occasion. Chain restaurants offering casual dining have suffered greatly since 2009, traffic falling continually since the recession. Casual dining places like Applebee’s and Chili’s do not have the same attraction as before, some suggesting it’s the decor while others suggesting it is due to the fall of the middle class. 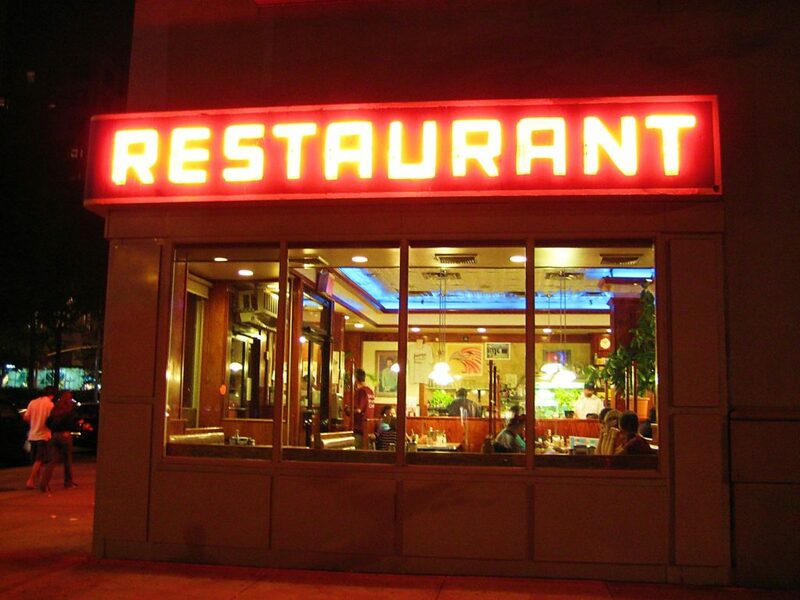 The only casual dining spot that has been able to withstand the pressure has been Denny’s. Taking after them, McDonald’s saw an increase in sales when they switched over to all-day breakfast. This phenomenon might be in part because of the availability of pre-made food like from 7-11 or Wawa. According to the National Restaurant Association, Americans are buying more food and drink on college campuses than they are at bars. With quick bites to eat available, late night snacking and breakfast all-day have become more and more attractive to millennial going out to eat. A easy solution for a restaurant today to utilize this trend might be adjusting your menu hours to suit a crowd that wants to eat whatever they want without time restrictions. One of the hottest topics among chefs and restaurants this years is reducing restaurant costs through sustainability. An easy way to go green is through menu changes. If your restaurant embraces local product into new dishes or existing ones, the effect you can have over your sustainability is incredible. Buying from a local market would help a restaurant in multiple ways– by only offering what is freshest and most in season it gives natural originality along with allowing you to save cost. Partnering with the local producer is also a good way to advertise, not just for you but for your producers as well. If buying from a local producer and changing your menu is too drastic a sustainable move, a similar but simpler method is growing your own produce. Even if you only end up using herbs as garnish, you have effectively saved money as well as getting into a farm-to-table movement a large proportion of Americans currently value. Managing food waste is another great way to learn sustainability. Managing food waste usually means tracking what you throw out and finding other ways to use food scraps. For example, using the whole broccoli into the meal, where instead of throwing out the stalk, you are incorporating it, even something as simple as a garnish. To learn more about food waste, read another of MOPAC’s articles. Recycling product is an easy way to save money especially if you are throwing out a lot, and MOPAC’s used cooking oil recycling program is a free service restaurants can utilize for their stores.There are also small things you can do to boost sustainability without changing the food- save costs on paper products by moving to recyclables, save costs on rustic decor by thrifting and re-purposing. Another trend developing quickly in the United States is the idea of the mindful consumer. The mindful consumer is consciously aware of what they are putting into their bodies, and are trying to learn every facet of the food they’re enjoying. Seven out of ten consumers want to understand the entire ingredient list for a product, and will support a brand that is increasingly transparent. Customers want to be part of the food process and want to understand what they’re being served. Get in front of the trend by listing all the ingredients in an entree on the menu or letting customers know where their food was produced. This is a restaurant trend not going away anytime soon.